Early churches met in homes and incorporated a family atmosphere where people grew in their relationship with one another-just as in traditional families. The Bible says, The churches here in the province of Asia send greetings in the Lord, as do Aquila and Priscilla and all the others who gather in their home for church meetings (I Corinthians 16:19). The local church is a small family that’s part of a larger family-the worldwide family of God. Individual churches collectively make up Christ’s body on earth. The Bible also says; And the church is his body; it is made full and complete by Christ, who fills all things everywhere with himself (Ephesians 1:23). When you were younger, did you have any “life influencers” who made a positive impact on you? Maybe a parent, grandparent, or a teacher made a difference in your life during your early growing years? One of God’s purposes for the local church is for you to be in a community where you will be surrounded by “life influencers”-people who will challenge and encourage you in your Christian journey. The Bible says, “Let us think of ways to motivate one another to acts of love and good works. And let us not neglect our meeting together, as some people do, but encourage one another…”(Hebrews 10: 24-25). These verses emphasize several important things. “Life influencing” is about becoming “others-minded”–“to acts of love and good works.” Do you want to make a difference in this world? When you die, do you want your life to have been only about yourself, what you achieved and the “stuff” you acquired? Or do you want your life to be about something greater–loving others and living a life full of love and good works towards others? Being a part of a local Christian church community will help you live a life with a higher purpose! “Life influencing” goes both ways. Not only will you receive encouragement (and be challenged for growth) but as you grow as a Christian you will also become a “life influencer” of others. Influencing others isn’t an option. This is written as an imperative and challenge… “let us not neglect our meeting together, as some people do.” Everyone influences those in their inner circles. If we choose not to do it positively, the influence is automatically negative. Millions of people choose not to go to church, but our lives shouldn’t be lived by what others do-even when they’re in the majority. The majority can be wrong. Instead, we should try to live our lives by a standard of seeking God’s will. Part of God’s will for us is NOT neglecting meeting together as a community of believers. Your spiritual life is a journey, and God’s will is for you to walk the journey with other believers. 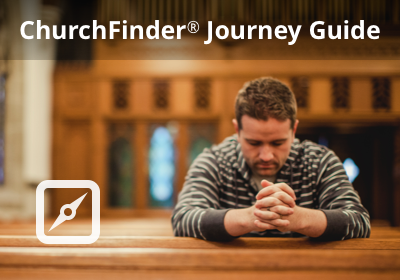 God has a local church for you! The human body is a marvel but only when each part functions as God designed. When one part malfunctions, the entire body is normally affected in various ways. The worldwide body of believers is similar. You may know some Christians who seem insignificant - you might even think you’re one of them - but you are not because there is no such thing as an insignificant member of God’s family. God has a plan and place for each of us. When we function as He created us to, His love permeates the world through us resulting in a better existence for everyone. The Bible says; Just as our bodies have many parts and each part has a special function, so it is with Christ’s body. We are many parts of one body, and we all belong to each other (Romans 12:4-5). Jesus was wholly God but the Bible teaches us that He came in a human body. With that body, he traveled throughout the region of Israel sharing God’s plan of salvation, healing the sick, comforting the discouraged and teaching people God’s commands. The two greatest commands he taught were to love God supremely and to love others as ourselves. After his crucifixion and resurrection, appeared to his followers and charged them to "go into all the world and preach the good news". His followers (who later became the “Church”) continued to carry on what Jesus began. Just as Jesus worked through his human body while he was on the earth to teach, heal and comfort, the Church is referred to as the "Body of Christ" - continuing the ministry of Jesus throughout the world. By accepting God’s offer to forgive our sins, we become a part of the universal Church - the "Body of Christ". God then gives us special gifts to accomplish his work. The Bible says, All of you together are Christ’s body, and each of you is a part of it. Here are some of the parts God has appointed for the church: first are apostles, second are prophets, third are teachers, then those who do miracles, those who have the gift of healing, those who can help others, those who have the gift of leadership, those who speak in unknown languages (I Corinthians 12:27-28). The local church is a place to grow in your own personal relationship with God. A healthy church is a place that teaches the Word of God (the Bible) and encourages each person to go deeper in their own personal relationship with God. Part of growing in your Christian walk is prayer, and a healthy church should be a place of prayer. Acts 2:42 says of the early church "And they continued steadfastly in the apostles' doctrine and fellowship, in the breaking of bread and in prayers." As you visit churches near you, ask yourself "Is this a place I would grow in my relationship with God?"